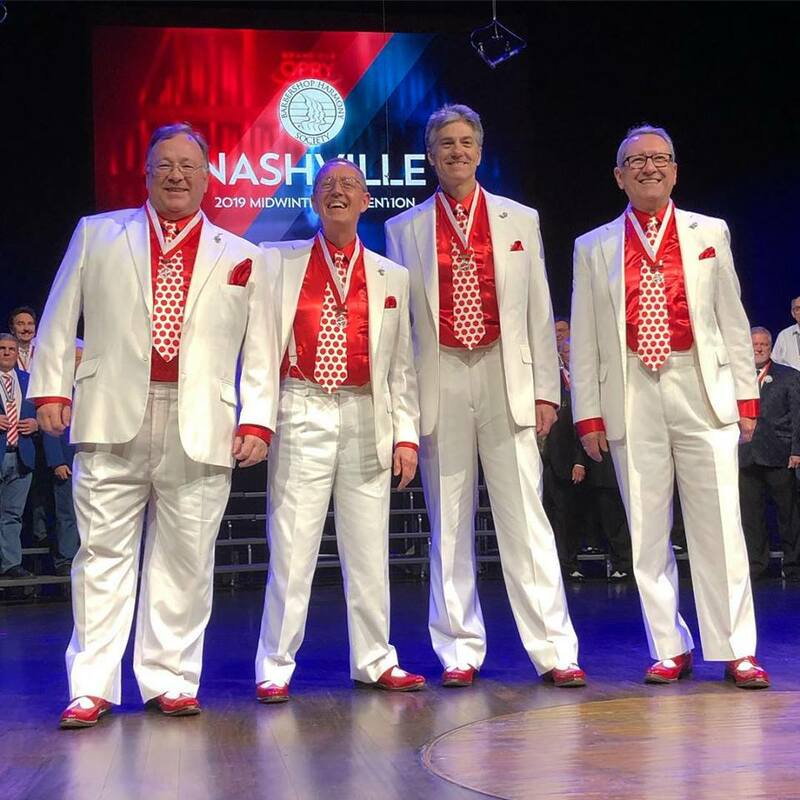 The Carolinas District was well represented at the Barbershop Harmony Society’s 2019 Midwinter Convention in Nashville, TN. Let’s Sing! took 2nd place out of 24 quartets in the International Senior Quartet contest, missing out the Gold by just 0.2 average points. The winning quartet was DoubleDouble from the Ontario District. In the senior chorus invitational, the Carolina Statemen earned second place with an overall rating of ‘Superior’ (the senior chorus contest is combined with the youth chorus contest, and performances are rated as Good, Outstanding, Excellent, or Superior as is common in choral competitions.) The Statesmen were directed by Mark Stock and Larry Triplett, and one of their songs arranged by Larry. They were the largest chorus on stage with 78 singers. The contest was won by the Dixie District Seniors Chorus. The contests took place at the Grand Old Opry in Nashville. 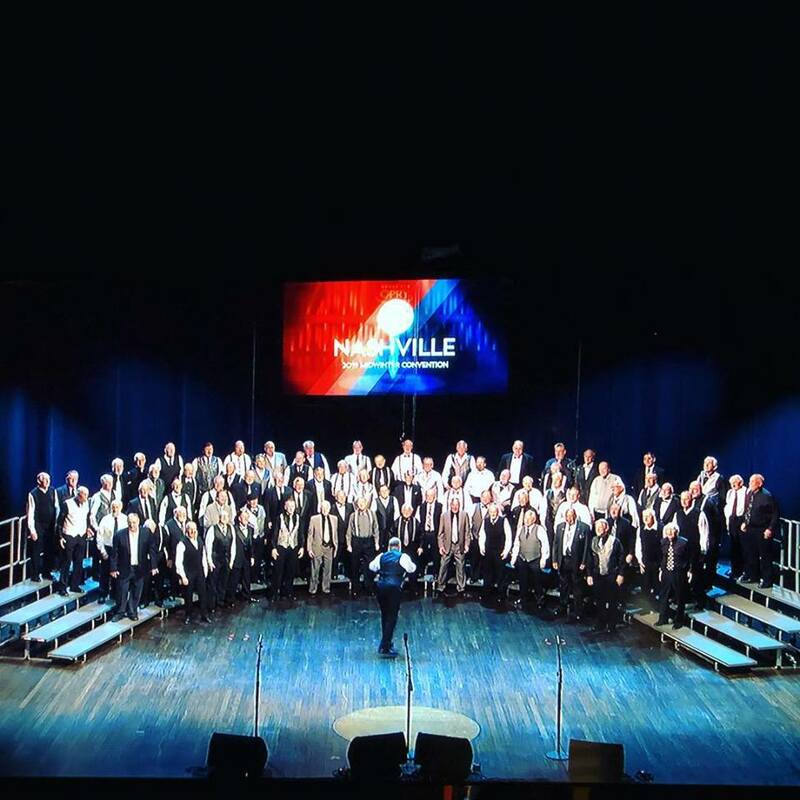 The convention also featured the NextGen quartet and chorus contests, showcases featuring current open division International champion and medalist quartets, Harmony University classes, and more. Next year’s International Midwinter convention is in Jacksonville, FL.